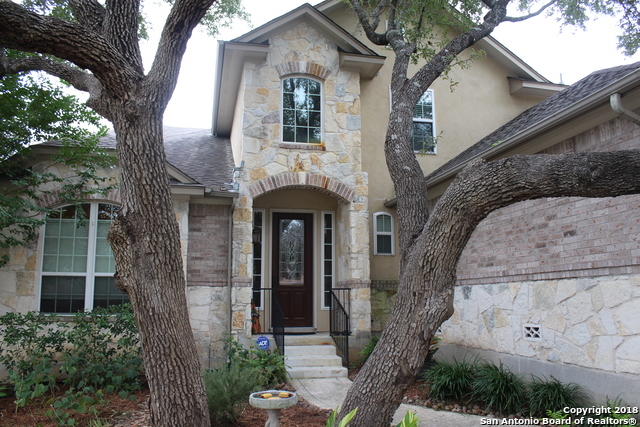 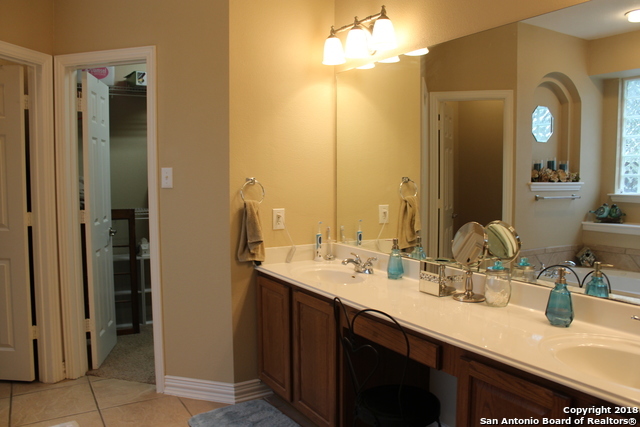 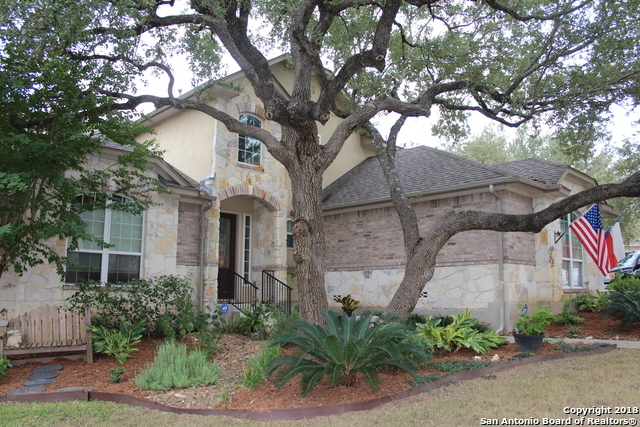 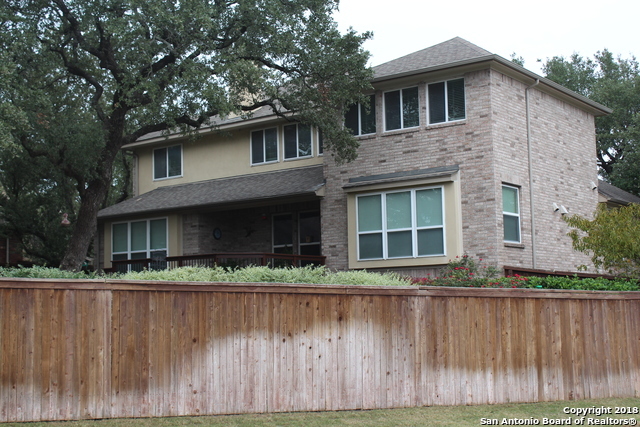 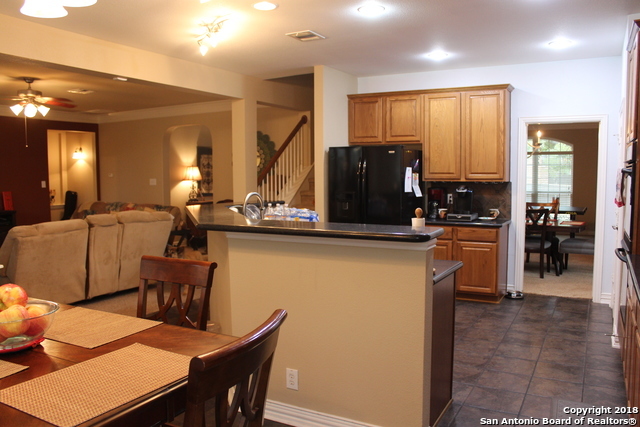 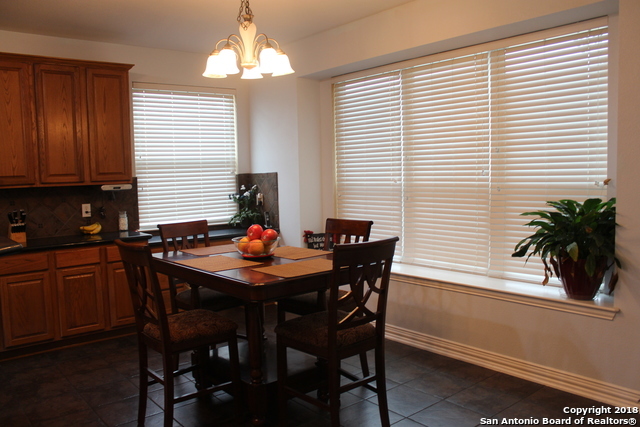 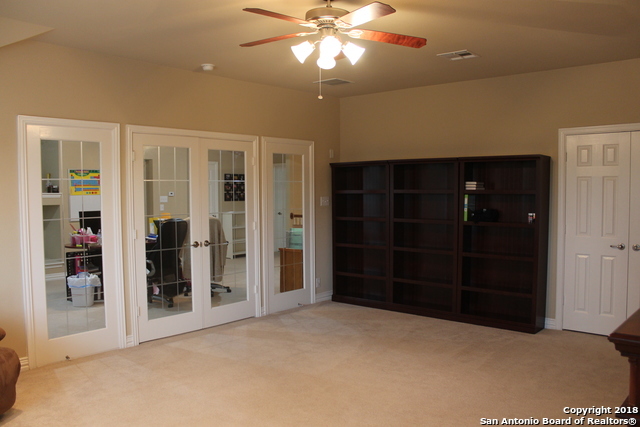 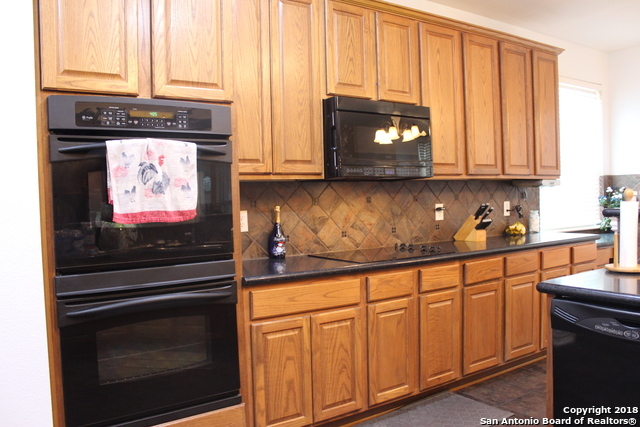 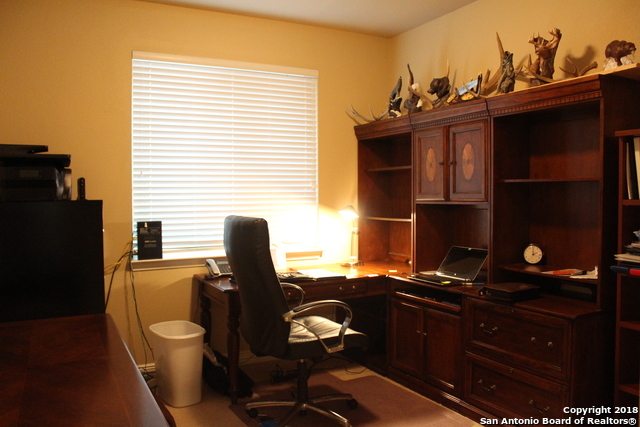 This offering is located within the Links at Canyon Springs, a gated community situated along the Canyon Springs Golf Club just north of Stone Oak. 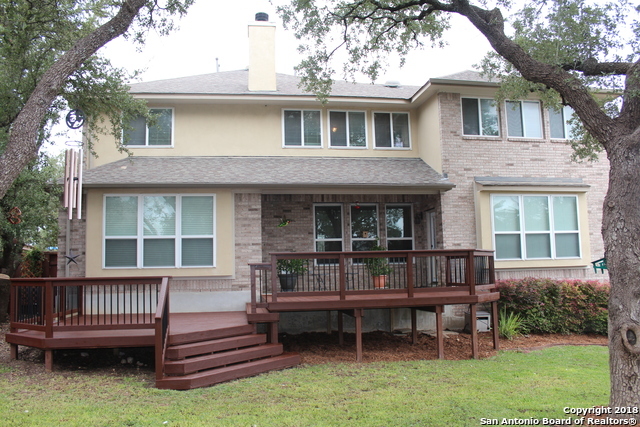 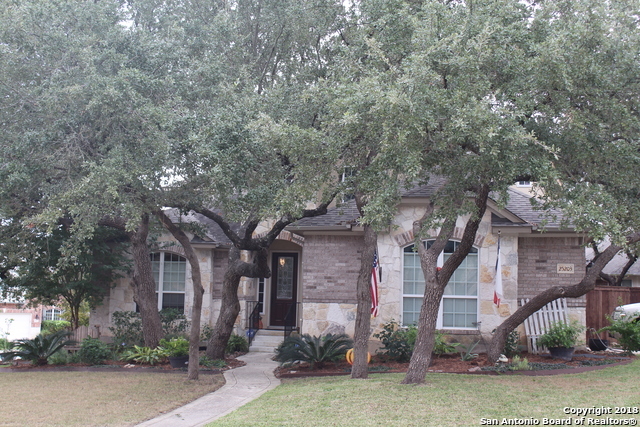 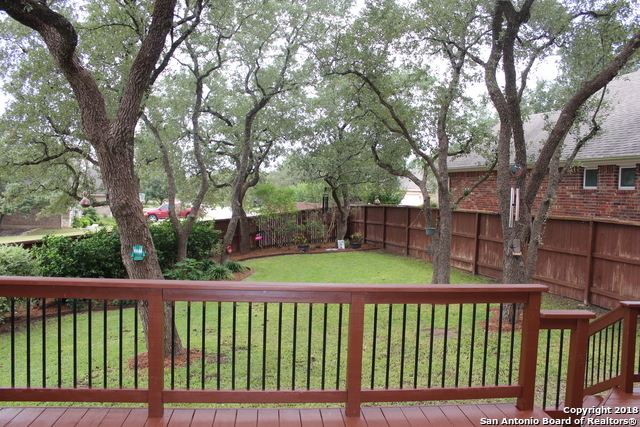 This 5 bedroom/4 bath home is situated in a friendly neighborhood on a large corner lot with mature trees and landscaping, a large rear deck and an appealing exterior entry. 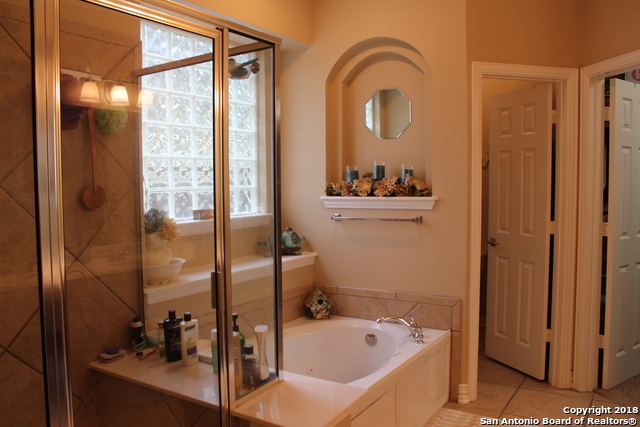 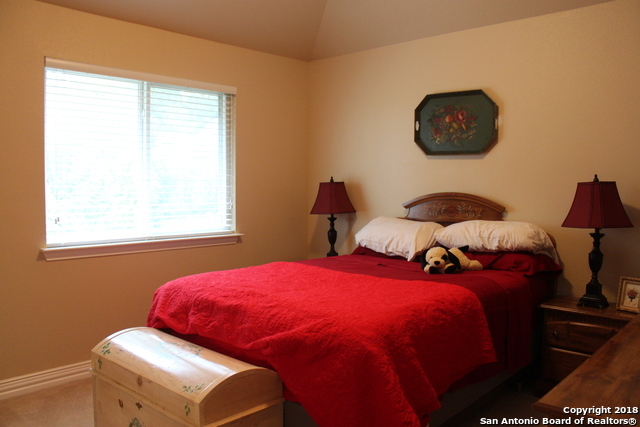 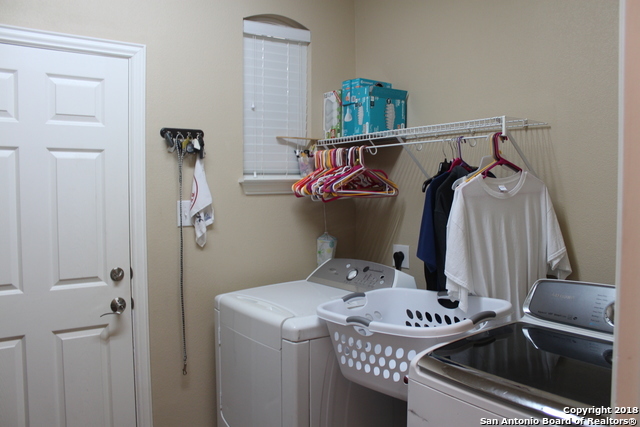 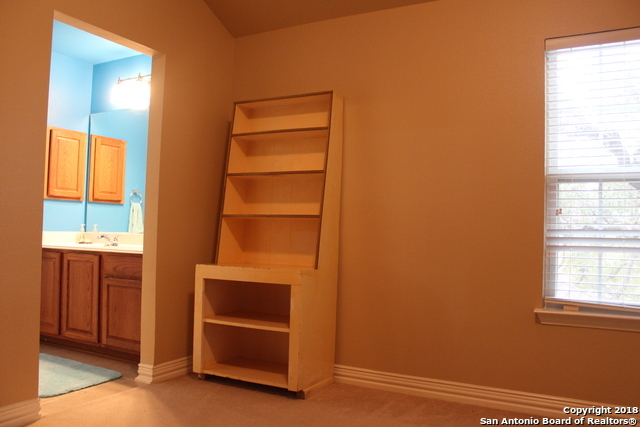 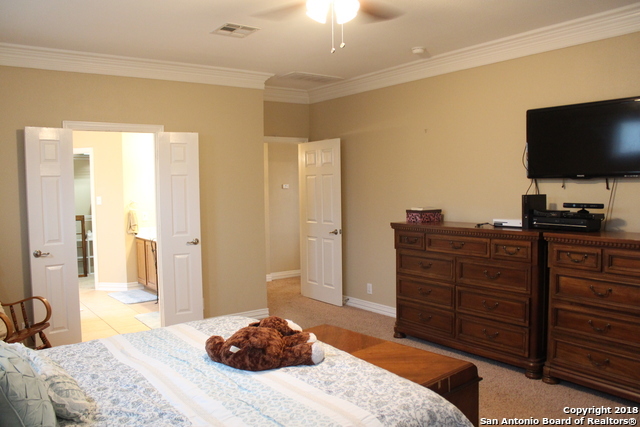 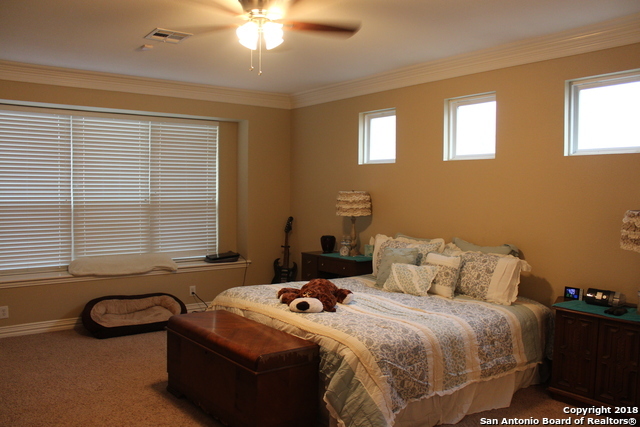 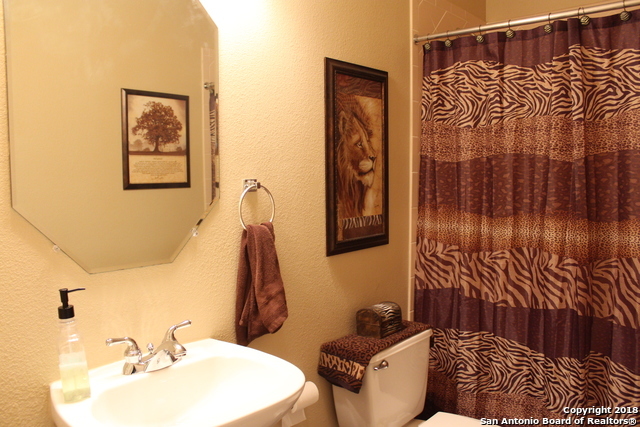 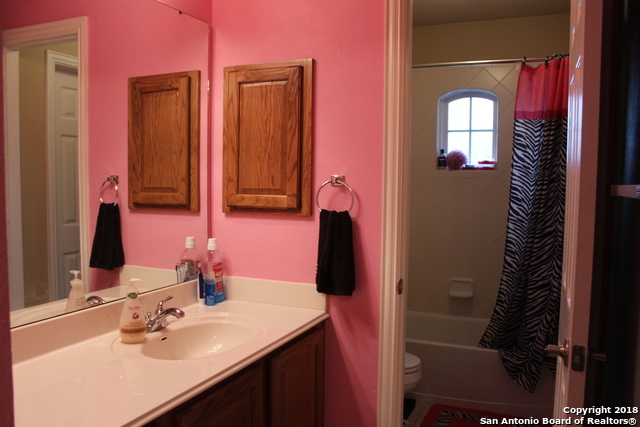 Large master suite is downstairs along with second bedroom and bath. 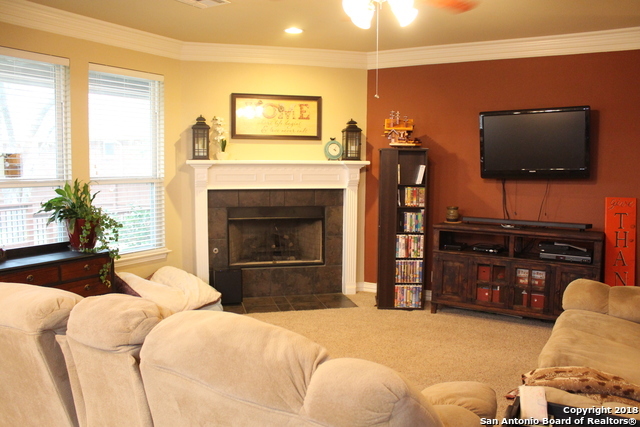 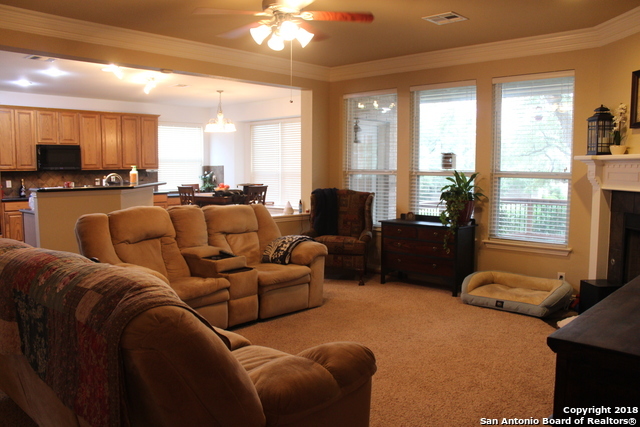 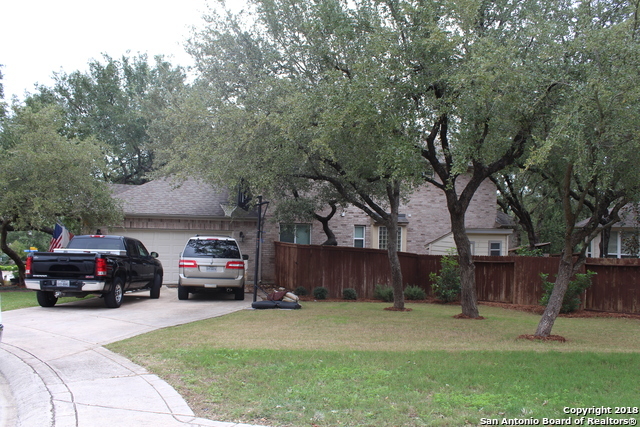 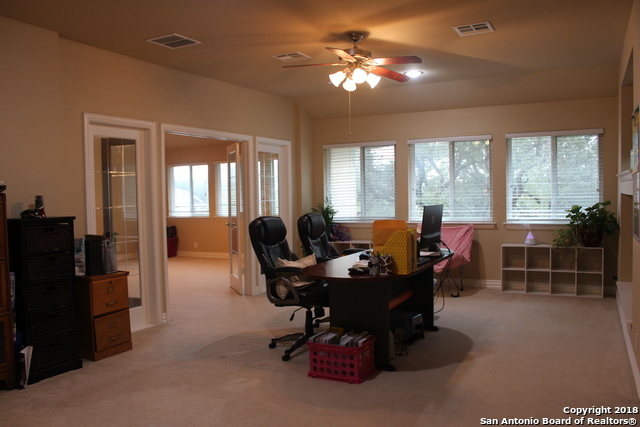 The home has an open floor plan with vaulted ceilings and family room adjacent to a large media room.